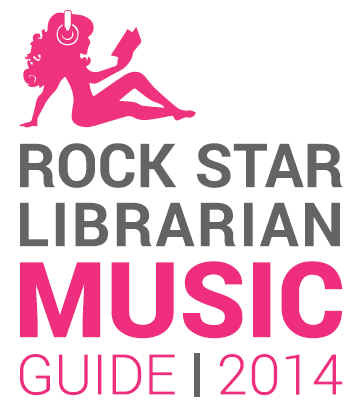 Download Now the 2014 RSL Music Guide! Download in one of four formats. Open .PDF file in Adobe Reader. On the print menu, under “Page to Print” select “More Options”. From the “More Options” list, under “Odd or Even Pages” select odd pages and check “Reverse Pages”. Once pages print, return to printed in same order and repeat steps 2-3. This time, only select even pages under “Odd or Even Pages”. If you have different, helpful instructions on how to print for your home inkjet and/or laser printer, please post instructions in the comments to help your fellow Burners. Thank you, Matt Menke, Burner and graphic designer extraordinaire of 303 Graphics, for your creative magic in beautifying the 2014 guide! If you have a duplex-capable printer (most printers), you can print the booklet version of the document on nine double-sided sheets of paper by configuring your printer settings to (1) landscape orientation, and (2) duplex print – short edge. Pull the nine sheets from your printer tray, fold in half, staple along the crease, save some paper… You will have to use your system print dialog to access these settings, the Chrome browser print dialog will not display these options. 1. Open the the Booklet (not the Spread) version in Preview (or other PDF reader). 3. Refer to this screenshot for help with the remaining steps: http://monosnap.com/image/9l0hS7SFfdmMSPvhzHnjsrEYBCu9Ni. If your print dialog looks different then you’ll just have to adopt these settings for your printer’s driver. 4. Make sure the ‘Two-Sided’ checkbox is checked. If you don’t have this you either don’t have a double-sided printer or you’ll need to check your printer’s drivers. 5. Make sure the ‘Orientation’ is set to landscape. 6. Select ‘Layout’ from the drop-down menu. Then I printed just pages 1-4 to make sure it was making sense before I printed the remaining pages 5-18. Then it’s time to find a long reach stapler somewhere. Is there a way to print full sized on 8.5 x 11. I like a little Rockstar Librarian Music Guide, but I also like to print out a large copy to keep at my place for planning purposes and it’s so much easier to read and mark on larger print outs. I have my printer set to 8.5 x 11, but it still prints in the smaller format. Not sure how to enlarge it to full page before printing. Any help would be appreciated! The versions posted are what’s available from me. for those of use without duplex printers, how to hell do you get this to work?! For those without duplex printers, follow her instructions. Or just download the consecutive page file and print on one side. I’m running into some issues printing since the fonts don’t seem to be embedded in the pdf. Would it be possible to post a copy of the pdf with embedded fonts? I tried doing it myself but I’m not sure I was doing it correctly. Is anyone finding that the labels for the am to pm days are one day off? I’m seeing “THURSDAY PM-FRIDAY AM” listed on the W-Th page, which is weird. All of the labels are like that. Follow the large Tuesday PM – Wednesday AM subheadings WITHIN the guide and ignore the page tops. We missed changing those at 3am hours before posting. So, follow the days of the week within the listings! Instructions above, “How to Print the Booklet,” worked perfectly for me on an old fashioned (non-double-sided capable) printer. Perhaps, (for those overanalytical types like me, #7 should read: This time, simply select even pages under “Odd or Even Pages”, leaving the “Reverse Pages” box checked. Anyway, now I have two copies, but the first one is not in the proper order – quite dyslexic, as a matter of fact! I can’t get it to print dark enough — the dark black Camp Titles are printing up just fine, but the time are dimmer and the DJ names aren’t visible at all unless I change from ‘Normal” to “best”. I had this same problem last year, with the same printer. HP printer with a PC. Thank you very much for taking the time and putting the effort! so much appreciated. I managed to print the booklet in the right order, not before going through a heap of paper. Now, I have no way of binding/stapling it. It also prints too light (GS version in BW printer). It would be great is a simpler option to print and staple at home would be available.